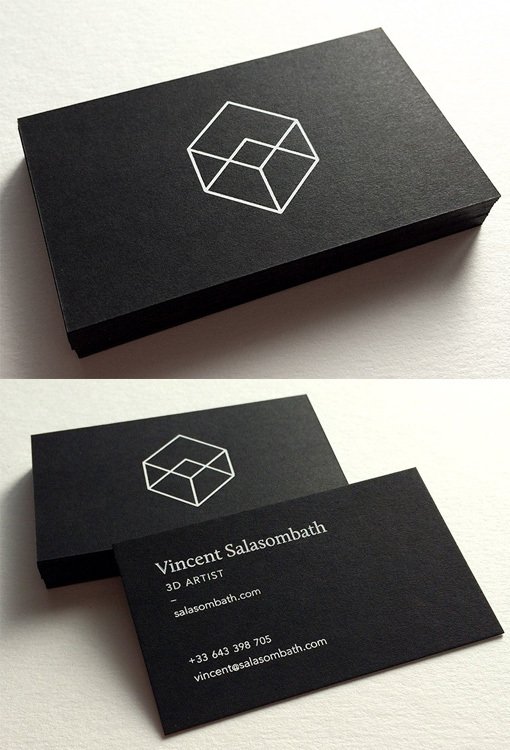 These business cards were created for a graphic artist who specialises in 3D work. The cards have a two dimensional representation of a three dimensional object as the main feature on the front of the card. Keeping with a minimalist and graphic style the contact details have been printed on the back in a neat sans serif typeface. The cards have been printed in white foil on the black card stock as the foil process gives a sharper and more opaque finish than white ink.